I get scared when a show gets too much love from the critics because that usually translates to me being disappointed [and annoyed due to critics’ flock behaviour]. However, I happen to agree with most this time. I don’t think I’ve read a bad review and I can see why. Supergirl is the type of show you can’t hate even if you are trying to. Somehow, it just seems to come from an honest place. The premise is simple. 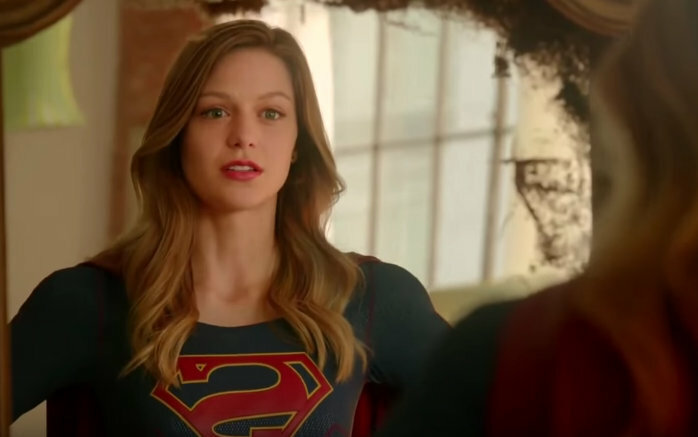 Kara (supergirl) was sent to earth with Kal-el (AKA superman), but her space travel doesn’t go according to plan and she gets stuck in the phantom zone for over two decades. By the time she finally arrives to earth, Superman is already well-known in Metropolis. Kara decides to hide her powers and leave all the world-saving duties to her cousin. However, eventually, she hears the calling of her true nature and decides to start using her abilities for good. It is basically the Hero’s Journey step by step and that never fails. This is CBS, so the show will probably feature a case of the week: Kara saving an innocent from an alien or human menace. But what separates it from the 500 CBS procedurals is the amount of heart it has. I would even go as far as classifying Supergirl as a “coming of age” story, rather than a “superhero” one. It is about a young woman trying to figure out her place in the world, dealing with all her insecurities and not shying away from showing some vulnerability. And… it was about time we got a female angle on this whole superhero trend. Should you watch it? I am very curious about what men think of this one… If you are a girl and like comic book shows, I would definitely recommend it. It is closest in tone to The Flash, so… if you like that one then Supergirl is for you.